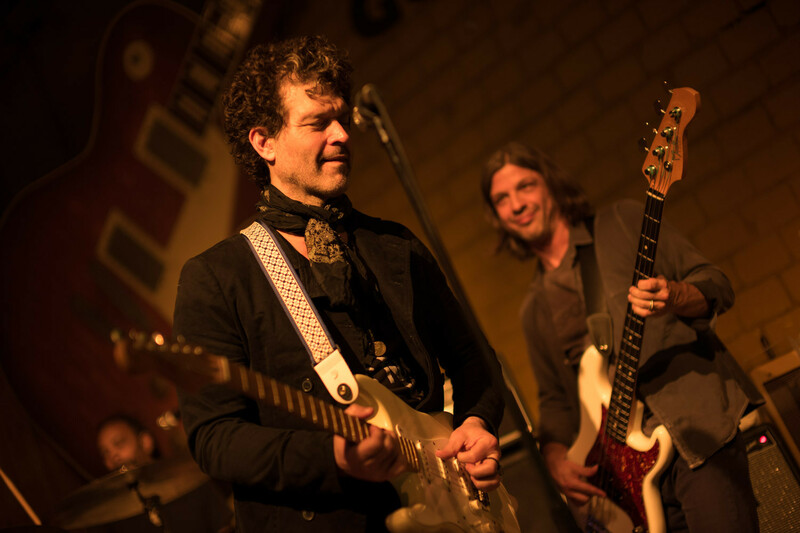 Doyle Bramhall II is one of the musicians I have heard and seen on a lot of productions, as with Eric Clapton, Derek Trucks, J.J. Cale, just to name a few – but I have never heard him with his own band. And I don’t even own one of his records. I was watching the video clips from his recent solo album Rich Man and was very curious. Very own style, very different, not just another Blues or Rock album, that was my first thought. A record you want to take more time to listen more intense and to discover the little details behind the corners. So I made it to Henry’s Bluesgarage last Thursday. The Garage was pretty much packed, which is not usual for this day a week. While standing in the line before the doors were opened I had a chat with some other folks. It turned out that some of them had similar memories and were curious as well, others have seen him performing with former bands or knew his music a lot better than I. It turned out to be a very impressive performance of Doyle and his band! And besides that, he was the first guitarist on the stage in this club to match the Jimi Hendrix art in the background. Not only because of his guitar playing, but because he is left-handed. As a photographer, this night was also a premiere for me as I finally got a Leica SL and coupled my Noctilux with the new body. Very nice combo indeed. I took 691 shots – yes, the SL is so fast and it’s fun in certain situations to have just some extra shots of a specific second. Quite different from shooting with the M – although my M10 is a big improvement together with the Noctilux shooting a live concert. 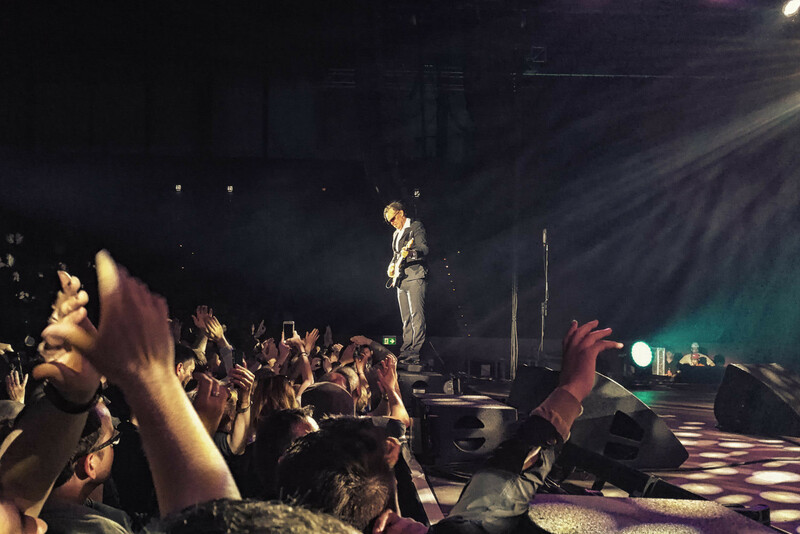 Wow – thank you, great pictures!!! Went to see Doyle in Salzburg last week – an amazing experience! By the way, Adam Minkoff – guitar, keyboard and Ted Pecchio on bass! Rockhouse Salzburg is always a great place to be, I remember it well.